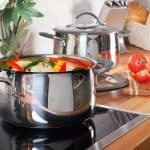 If you are looking for a stainless steel cookware set which is durable enough to be used by anyone, with any utensils, then look no further than this excellent offering from Calphalon. The Calphalon Tri-Ply Stainless Steel 13-Piece Cookware Set Calphalon Tri-Ply Stainless Steel 13-Piece Cookware Set has a brushed stainless steel interior that allows you to use any type of utensil without scratching the cooking surface. This set can be used on induction cooktops as well as on ceramic, gas, halogen, and electric stove tops. The pieces in this set have striking glass lids and handles which are cool to the touch. 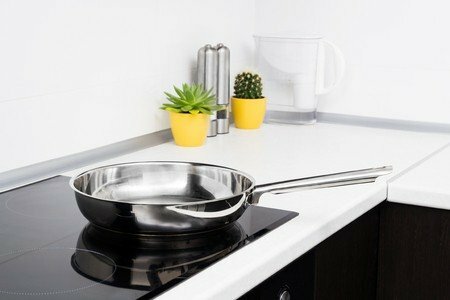 Calphalon utilized superior bonding technology to grant a completely encapsulated core that provides great heat retention and distribution. The range of pots and pans included in this set provides everything needed to cook up a storm. From the large pot perfect for soups or stews, to the stock pots and sauté pan, Calphalon has you covered. It’s clear that this is a set designed to last, with even the handles being triple welded for enhanced durability. Two layers of durable stainless steel that have between 8% and 10% nickel content, encapsulates the aluminum core. The exterior is brushed stainless steel. While some prefer steel covers, the tempered glass lids add an extra touch of elegance. They fit perfectly and seal in heat and moisture. You will find that even when leaving your lid ajar, your pots and pans still maintain a stable heat. 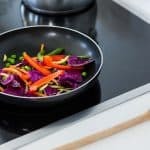 Even though the brushed stainless steel handles stay relatively cool to the touch through most bouts of cooking, the rims of these pots and pans are known to get quite hot. This is the only area which has any variation in heat and it has no effect on your meal. Even though the set is rated as dishwasher safe, it is generally easier and safer to wash your pots and pans by hand. 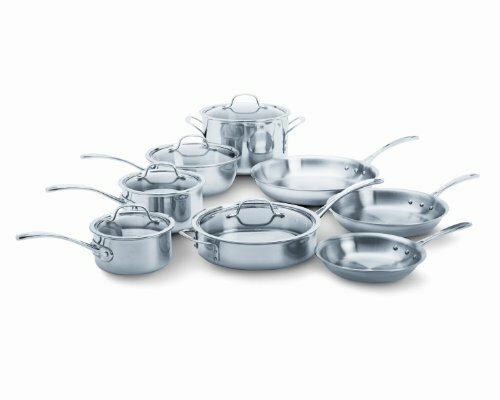 If the Calphalon set isn't quite what you are looking for, another stainless steel option is the Cuisinart MCP-12N Multiclad Pro Stainless Steel 12-Piece Cookware Set. It too has a tri-ply construction with great heat retention and distribution. Additionally, unlike the Calphalon 13-pc set, a steamer insert and lid is included. If you are open to a nonstick cookware set, we reviewed two quality sets.